Its beautiful vineyards, stunning golden sand beaches and warm Mediterranean climate, it's easy to see why so many visitors flock to the Murcia region every year. Bargain facing south 2 bed 2 bath apartment for sale in Sucina Town, within the Vereda de Sucina residential. It enjoys front views to the communal pool. has a private parking area and storage. It is great value for money and ideal for holidays or investors. There are 2 Golf Courses at door step, Hacienda Riquelme and La Peraleja and a short drive to the beach. There are 2 units available, one overlooking the pool and the other one overlooking the mountains. Two plots of land being sold together. One plot measuring 57.816mÂ² and the other 17.624mÂ². Both plots close together. The larger of the plots has been terraced and houses bee hives and both have amazing views. Dirt track as access from the main road and no mains water or electric connected. Ideal for agriculture use or a caravan. Home to one of Spain's largest tourist industry's, Murcia as long proven popular with UK holidaymakers keen to sample the numerous delights of this beautiful part of south-east Spain. Over the course of the past 30 years, large numbers of visitors have chosen to buy property for sale in Murcia as they look to find what many see as being the true Mediterranean lifestyle. 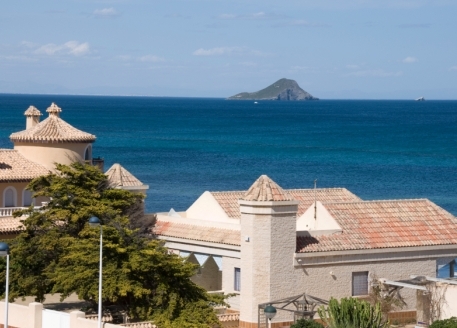 As was the numerous resorts throughout the Murcia region, there are a number of other interesting areas worthy of consideration if you are looking to buy properties for sale in Murcia. In particular, the town of Murcia itself is seen by many as being the heart beat of the region as a whole. 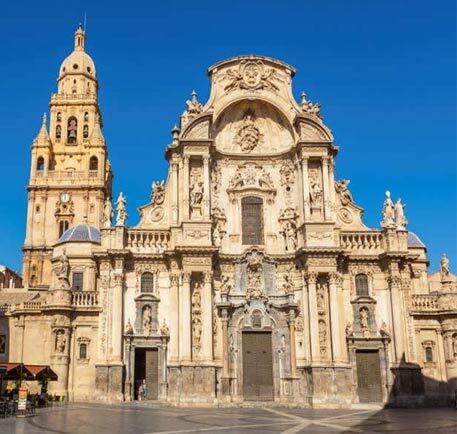 A university town, Murcia is renowned for its superb examples of traditional Baroque architecture. In particular, the stunning Cathedral de Santa Maria, which was built in the 14th century, is widely thought of as being one of the finest types of Baroque architecture to be found anywhere in southern Spain. In more recent times, the Murcia real estate industry has seen the effects of the global economic crisis, very much in line with what was experienced throughout the rest of Spain. However, despite these more challenging conditions, there are early signs that more positive news is around the corner for the Murcia property market. In particular the downward pressure on prices of property for sale in Murcia, has seen an increased number of sales throughout the region over the course of the past 12 months. It is too early yet to say what the impact will be of the more recent political changes, in particular the new austerity measures brought in by the Spanish government just a few months ago. Overall, it is undoubted that there are today, opportunities to be heard for those looking to buy a properties for sale in Murcia, and whilst it may be too early to tell, it is doubtful that these opportunities will not be snapped up by investors wishing to capitalise on economic uncertainty. If you are thinking of buying a property in Spain, then it is certainly worthwhile taking some time out to visit the Murcia region and sample the various delights which are available throughout the area. LOCATED ON THE SUNNY MEDITERRANEAN COAST OF SOUTHERN SPAIN, MURCIA IS HOME TO A NUMBER OF IMPORTANT CITIES, MAJOR TOWNS, AND SMALL VILLAGES. Like many Spanish provinces, Murcia shares its name with its capital city. About a third of the region's entire population reside in the City of Murcia, which is built on one of the most scenic coastal spots around the Segura River. Despite its urban landscape, the city is an important part of Spain's agricultural industry. The City of Murcia has long been a major exporter of fruits and vegetables as well as flowers, earning it the nickname "Europe's Orchard." Behind the City of Murcia, the second most populated urban centre in the province is the historic city of Cartagena. The city has a glorious history, and in ancient times was an important part of the Roman Empire and was known as "New Carthage." In more recent centuries, the city has been renowned as the home of one of the Mediterranean's most important defensive naval ports. Though Murcia's prime tourist spots tend to be on the coast, Lorca is a gem of the area's inland regions. A medieval town steeped in history, it was once positioned right on the divide between Christian and Muslim Spain. Lorca is home to a number of important historical sites, and is currently the subject of an initiative aimed at boosting cultural tourism in the town while preserving the town’s heritage for future generations. MURCIA IS ONE OF SPAIN'S BUSIEST TOURIST PROVINCES. AS WELL AS ITS EXCELLENT POSITION ON THE COAST, THE AREA HAS EARNED THIS STATUS THROUGH OFFERING A LOT OF LANDMARKS, ATTRACTIONS AND SIGHTS TO SEE. Cartagena is home to a spectacular ancient Roman theatre, dating back to the height of the cities glory days as the ancient city of New Carthage (Carthago Nova). Built between 5BC and 1BC, it was later converted into a market and then lost to the ages. In 1988 it was rediscovered, excavated and restored. Since 2008, it has been open to the public as a museum and heritage site. The Sierra Espuna nature reserve is one of the regions greatest areas of natural beauty besides the beaches. A surprising range of different landscapes are on display within the park, including mountains, forests, rivers and dry agricultural land. Highlights include the Muela plateau and the various ravines and cliff faces that form imposing yet fascinating marks on the landscape. Dating back to the late fourteenth century, the Cathedral of Saint Mary in Murcia is one of the City of Murcia's architectural highlights. The building continued to grow and expand for several hundred years afterwards, so this single stunning building showcases a range of architectural styles dating from the medieval era up to the eighteenth century. The Cathedral also has twenty five separate bells, each one individually named. MURCIA IS A PROVINCE WITH A LONG AND INTERESTING HISTORY. IN ANCIENT TIMES, THE AREA WAS FAVOURED BY CARTHAGINIAN TRADERS WHO ESTABLISHED THE CITY OF CARTHAGO NOVA (NEW CARTHAGE). This city went on to thrive as part of the Roman Empire, and remains one of the province's most important cities today under the name Cartagena. Later on, the frontier between Spain's Christian and Muslim inhabitants ran straight through the province, with both sides leaving their mark on the region's heritage. The latter group, the Muslim Moors, introduced innovative systems of irrigation, which would go on to prove crucial to the agricultural industries of Murcia and surrounding provinces. Thanks to these advances, the region became a major exporter of fruit, flowers and vegetables, with part of the region now known as "Europe's Orchard." In 1243, the province rejoined Christian Spain. In the centuries that followed, it distinguished itself as a centre of agriculture and trade as well as the home of one of the Mediterranean's most significant naval ports in Cartagena. Today, the region is popular with tourists, both for its scenic beaches and its cultural and historical significance. In particular, the tourist trade is centred around the main cities and coastal towns, though some inland areas are also growing in popularity. The region also remains an important centre of agriculture, as well as an important wine producing region. THE PROVINCE OF MURCIA BENEFITS FROM A SEMI-ARID MEDITERRANEAN CLIMATE. THIS IS CHARACTERISED BY SHORT, MILD WINTERS AND LONG, HOT SUMMERS. Even in December and January, temperatures average around a fairly comfortable level 11° centigrade (52° Fahrenheit), and in summer it is not unusual for the thermometer to climb above 40°C (104°F). Murcia also saw the highest recorded temperature in Spain at any time in the twentieth century; 46.1°C (115°F) in July 1994. The climate of Murcia is also defined by long hours of sunshine and very low levels of rainfall. Most of the rain is focussed in Spring and Autumn, specifically April and October, with the rest of the year being very dry. Most years will see between 120 and 150 days in which there are no clouds whatsoever, just completely clear, blue sky. The landscape of Murcia is varied. Despite the dry climate, there are a number of rivers and streams, including the major Segura which runs through the City of Murcia. It is also home to the Mar Menor, Spain's greatest natural lake. 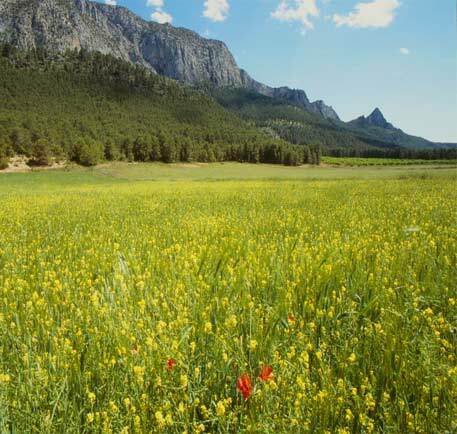 Murcia's landscape also includes elements as diverse as mountains, ravines and forests. The tourist trade in Murcia is very much focussed around the coast, though initiatives in culturally rich inland places like Lorca are starting to change this. As a result, the inland scenery is considered especially untouched and unspoiled, and tends to leave those tourists who do holiday a little further from the coast in awe. MURCIA IS A DIVERSE PROVINCE, WITH A NUMBER OF DIFFERENT CULTURAL GROUPS. THERE ARE SIGNIFICANT MUSLIM AND JEWISH POPULATIONS IN THE CITIES ALONGSIDE THE CHRISTIAN MAJORITY, AND HISTORICALLY THE PROVINCE WAS ON THE FRONTIER BETWEEN MUSLIM AND CHRISTIAN SPAIN. A significant immigrant population (12.35% of the province's inhabitants are foreigners) lends the area further cultural diversity. Ecuadorians are the single largest immigrant group, followed by Moroccans and the British. 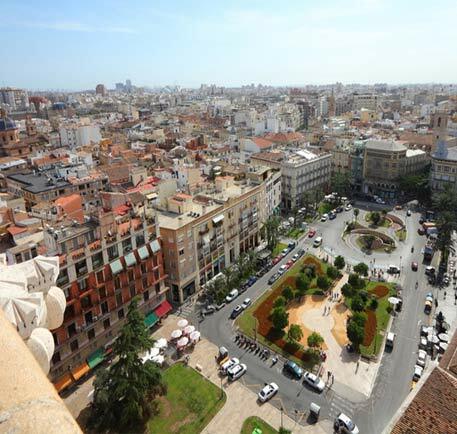 Murcia is also one of Spain's most important centres of cultural tourism. In particular, the area has a strong heritage and plenty of historical attractions to draw in cultural tourists. Murcia is home to a number of important historical sites dating from various periods in the province's varied past. 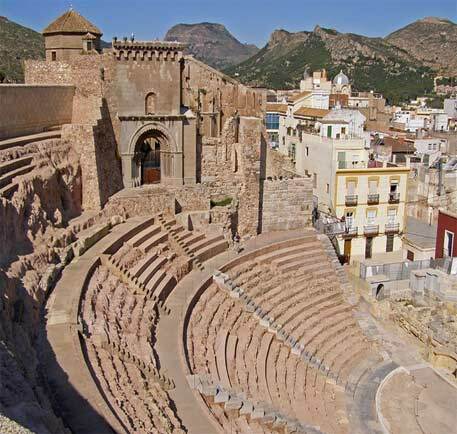 These range from the ancient BC-dated Roman theatre in Cartagena to the Cathedral in the City of Murcia, which was built in various stages from the medieval period up to the eighteenth century. Inland, the town of Lorca is a major historical draw and home to a number of important sites and structures. A number of important cultural events take place within Murcia. 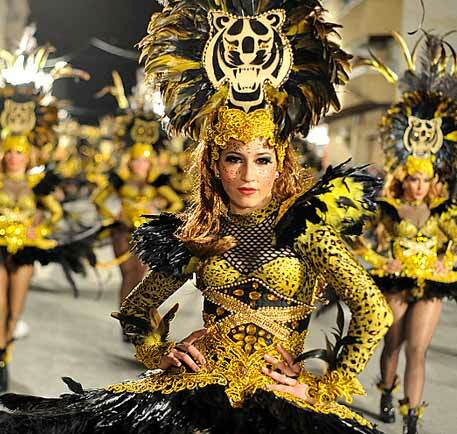 It is home to one of the most important and exciting carnivals in the country, the Aguila's Carnival. There is also a yearly re-enactment in Cartagena, the Cathagineses y Romanos, which recreates the ancient Punic Wars. This has been declared a tourist event of national interest, as have the Holy Week processions that take place in both Cartagena and Lorca. 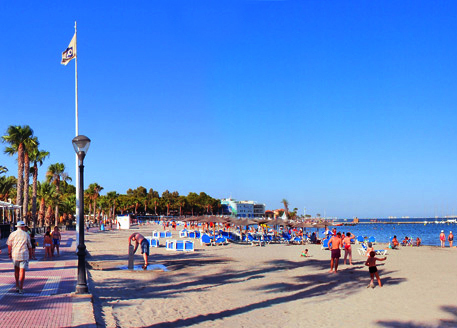 TOURISM IS A MAJOR PART OF THE ECONOMY OF MURCIA, PARTICULARLY IN THE MAIN CITIES AND COASTAL TOWNS. THE BEACHES ARE MAJOR DRAWS, AS ARE CERTAIN AREAS OF NATURAL SCENERY AND TOWNS WITH PARTICULAR HISTORICAL SIGNIFICANCE. Murcia is also home to a thriving golf scene, and the presence of some high-quality courses as well as excellent shopping facilities have played a major role in further boosting the tourist sector. As well as regular tourism, "residential tourism" is also a major aspect of Murcia's economy, and has been since the 2000s. A number of foreign residents own second homes in the region, particularly those from Northern Europe, and spend part or all of their time there. This, combined with demand for shorter-term tourist accommodation, is helping to improve the area's property market. Hit hard by the recession, the Spanish property market now seems to be recovering and most of the positive signs are found in popular tourist areas and major cities – both of which can be found in Murcia. The agricultural sector also plays an important role in the economy of Murcia. In particular, foodstuffs such as fruit and vegetables are produced in the region, along with flowers. 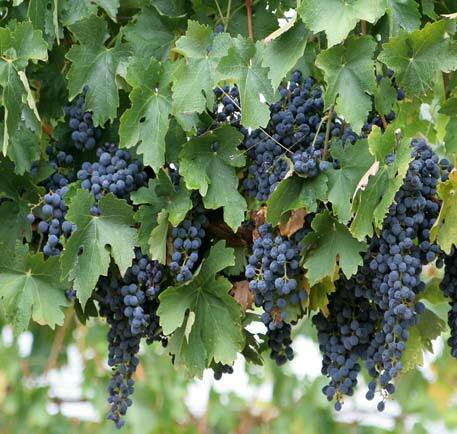 The province is also home to a number of vineyards producing excellent examples of Spanish wine. The thriving agricultural scene in Murcia has earned the area surrounding the City of Murcia a reputation as the orchard of Europe. This area, in particular, is a major producer and exporter of food and flowers. Some parts of the region, particularly the City of Murcia and other urban centres, also have industry as a notable contributor to the economy. A number of companies based overseas choose Murcia as a location to open their factories, including the American firm General Electric.